It was in 1926, when the process of establishing a hockey association in India was complete. The Indian Hockey Federation (IHF) took no time to persuade the International Olympic Committee (IOC) to reinstate the sport of hockey at the Olympics. Field Hockey was scrapped for the 1924 Olympics edition and there was uncertainty hovering many enthusiasts if the game of hockey would ever be included at the Olympics. But there were other questions which had to be answered. In India, there were other concerns for players like Dhyanchand and his army comrades. If India were to send a team to the Olympics, will the civilian team include men from the army? Dhyanchand until then had never played for any civilian team and this he feared – should not play against him when the Olympic team was to be considered. Those initial fears were brushed aside as the president of the IHF happened to be Major Burn-Murdoch. 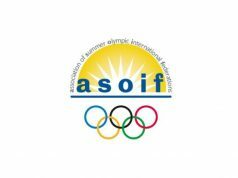 India’s request to participate at the Olympics was accepted by the IOC and thus began a grand process of selecting the team bound for 1928 Olympics scheduled to be held in Amsterdam. The IHF had these worries – whom to choose from the few provincial teams that were available? and what would be the procedure? In the end, IHF decided to hold selection trials in Calcutta (now Kolkata) as the crowd always turned in good numbers be it for any sport. And other reason: the Bengal Hockey Association was the oldest hockey association in India, established in 1908. The rest of the provincial hockey associations only came into existence after 1926. Five teams namely – Punjab, United Provinces (UP), Bengal, Rajputana and Central Provinces took part in a inter-provincial tournament which served the selectors, a pragmatic approach to pick the players. Dhyanchand on the basis of his birth was asked to play for United Provinces and he was as nervous as any player could be for many reasons, with one being; he was playing for a civilian club with many unknown faces for the first time. Going into the first match, the Jhansi-born player was visibly tense as many selectors’ eyes were on him and he wondered whether an army man like him would fit into a civilian team. Dhyanchand played in the only way he knew, displaying the skills of irresistible variety which included dribbling, moving past the opponents with ease, giving prudent passes to his teammates and scoring goals whenever opportunities came along. He spearheaded his United Provinces team into the finals. “The United Provinces were the most impressive side of the five teams which have taken part in the tournament, and they fully deserved their success. UP won the final virtually in the first seven minutes when they scored two goals.” – the Statesman reported on the finals. History was made on 16th February 1928, the United Provinces were crowned as the winners of the first national hockey tournament held in India. 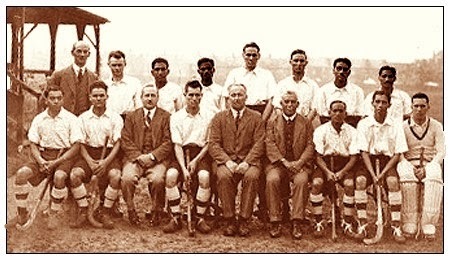 Few players from the winning team would also be part of the historic team which won the Olympic gold in Amsterdam: Dhyanchand (forward), George Marthins (forward), Frederic Seaman (forward), William Goodsir-Cullen (half-back) and Leslie Hammond (back). The talent difference between players who took part in the inter-provincial tournament were small and negligible. Yet, there were decisions to be made to select a team that represented India at the Olympics. A further two matches were held. IHF XI vs. Central Provinces (as they had been knocked out in the first match) on the same day as the finals. The second game was played on the next day between Probables and Possibles. The very next day, a provisional Olympic team was supposed to be announced, only to be delayed by another match between Probables and Rest of India. The two selectors Major Burn-Murdoch and Colonel G.P.W. Hill had a tough few days until the final squad was chosen. After many considerations, only thirteen players were picked from the list of players who participated in the tournament and the successive matches. A few hockey players were already in England studying and representing their university in hockey. Jaipal Singh, a full-back player for Oxford University was a natural choice to captain the side and were to join the squad in England. A. 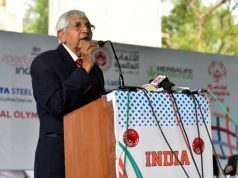 B. Rosser, a founding member of IHF and the secretary of Bengal Hockey was a unanimous choice for the post of the manager.